How to get them! One of the most powerful tools you can make use of to help you convert casual visitors to your BigCommerce website into eager buyers is to encourage customers to leave reviews of our products and services. Although choosing BigCommerce themes that easily add this kind of functionality to your website might throw up concerns about the effects of negative comments, the reality is that the benefits of having such reviews on your site far outweigh any potential issues. At Blackbelt Commerce, we know that opening up your site to reviews from customers is a clear sign that customer satisfaction is high on the agenda for your enterprise and at the very heart of your business model. Studies show that reviews are proven drivers of sales. The vast majority of your customers would prefer to read a review of a product or service. They do this before deciding whether to go ahead and make a purchase. One study found that products with 50 or more reviews see an increase in conversion rates of nearly 5%. Visitors to sites that have reviews along with customer questions are not only more likely to make a purchase but spend on average 10% more when they do. Products with reviews are 18% more likely to be sold. Potential customers trust reviews from customers 12 times more than descriptions from manufacturers. Once you have chosen your BigCommerce design, your goal will be to optimize the customer experience. However, while you may have strong ideas about the best way to achieve this, you cannot begin to move your procedures into the right direction without first achieving a complete and accurate understanding of what your customers want and how they feel about the products and services you provide. Monitoring reviews along with social media, analyzing customer feedback, distributing surveys and collecting all the customer data you possibly can put your enterprise into a far better position when it comes to satisfying future customer needs. Sending emails after customers have made a purchase, asking them to let you know if they are happy. Offering incentives such as a discount code. Making it as easy as possible to provide reviews and leave ratings. You can easily enable or disable product reviews from the Advanced Settings screen. More information is available on the BigCommerce support pages. Another option is to participate in Google Customer Reviews or other verified reviews programs. These allow you to collect feedback from customers who have made purchases from your store and provide you with an independent seller rating. Joining the program allows you to display a badge with the Google brand and your seller rating will appear alongside search advertisements and on the Google Shopping pages. This program is a great way of demonstrating to all your customers that you offer consistently good service. As BigCommerce partners, the team at Blackbelt Commerce can assist you in finding the best way to incorporate the views of your customers into your BigCommerce design so that you too can enjoy the benefits. Providing new and unique content that is regularly updated, rather than standard product descriptions. 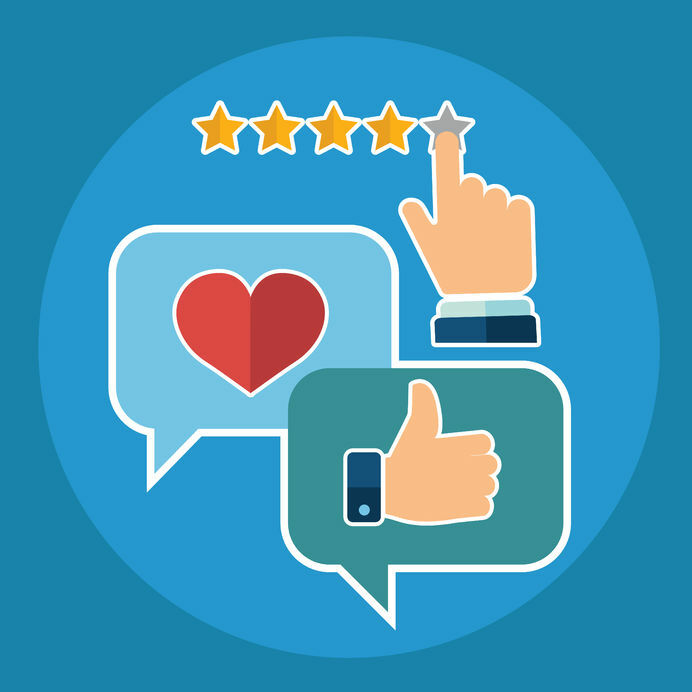 A common concern when it comes to selecting one of the BigCommerce templates that puts customer reviews front and center is the possibility of encouraging negative feedback from your customers. Though it might be tempting to censor the worst reviews or remove such features to prevent the criticism from being seen, this is always a mistake. Companies who strive to always put their customers first quickly come to realize that negative feedback is incredibly valuable. If you take the time to listen carefully to what your customers have to say, it provides an ideal opportunity to understand their needs better. This will also improve the customer experience in the future. Bearing this in mind, it’s a good idea to interact with customers who leave feedback, regardless of whether it is good or bad. Try to personally acknowledge all those who leave feedback as by doing so, you will validate their concerns or comments. In the event of a poor review, be quick to react and ensure you offer solutions rather than excuses. If your company is genuinely at fault, it’s important to offer some form of olive branches. A discount voucher, free delivery or a credit note for future services or products is a great option. The worst possible thing you can do is to ignore bad reviews. If you do this, they will simply linger on forever. If you take prompt action and show the customer that their satisfaction is important to you, there is always a chance that they will edit their review and become a loyal customer. At Blackbelt Commerce, we understand the importance of providing first-class customer service. Let us help you to optimize your BigCommerce website so that your enterprise can reach its full potential. We invite you to check our other posts on customer service and how much performance may impact your brand. please check out our services section and our portfolio.